Are you looking to hire a information technology manager? These recruiter tips will help you source and interview the IT talent you need. “We find available candidates by sourcing through many channels; we have our own database of almost 2 million professionals, and we use job boards, referrals from candidates and word of mouth,” says John Sliger, recruiting director at Randstad Technologies. “We check their resume to make sure they’ve done what they say they’ve done, and HR managers should check references, including from people the candidate has supervised,” says Alex Benario, a managing director with search firm Ascendo Resources. “Assessing soft skills is about having a conversation,” says Becker. 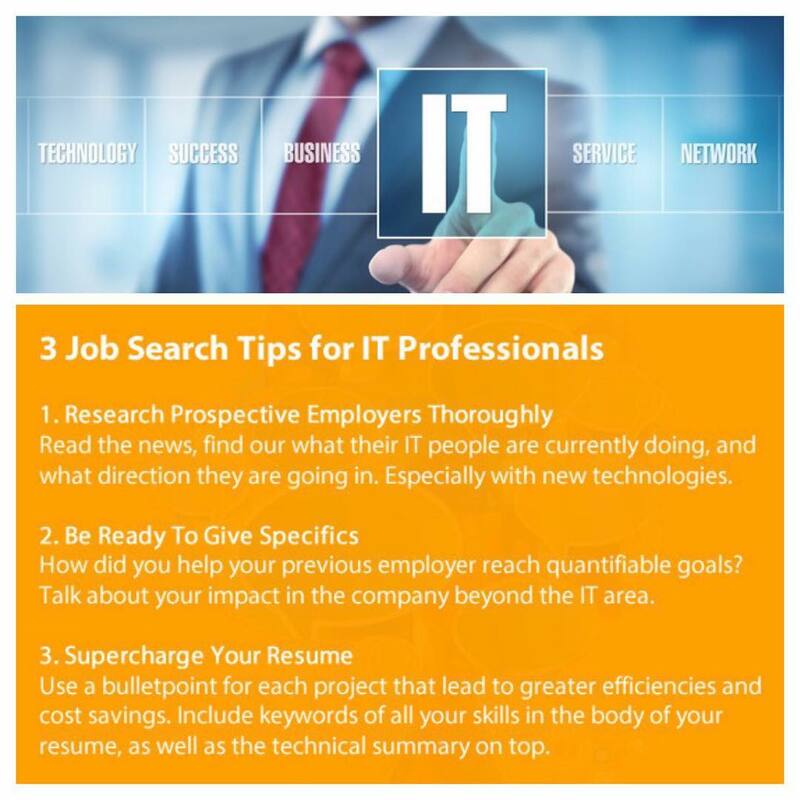 Tip Tuesday: #IT #professionals, make sure your #resume highlights all your #technical #skills.